There is so many colors of tungsten beads. 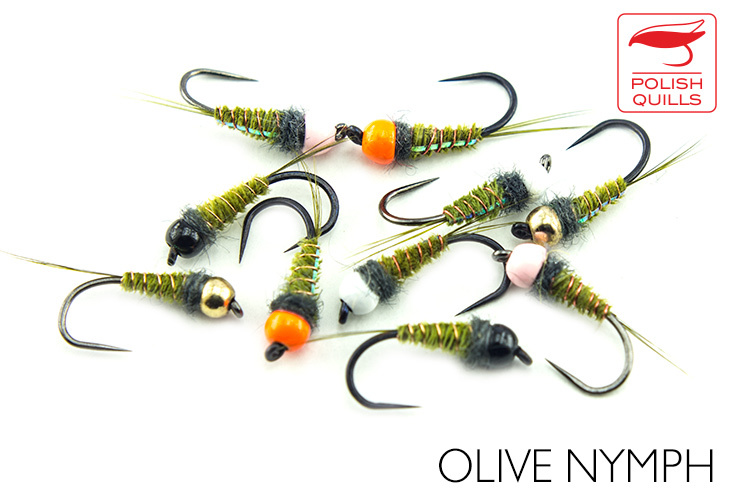 We've created a range of olive dyed feather body with different tungsten bead colours. Available in five bead colours and three hooks sizes.